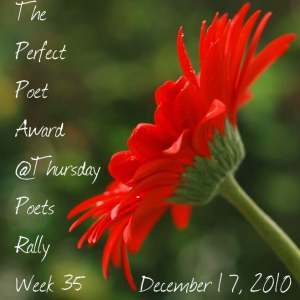 August 3, 2016 December 29, 2010 by Vinay Leo R.
I have been nominated for Perfect Poet on Week 35 of the Poets Rally. This badge has been given to me. With the haiku, I accept the appreciation. I nominate DancingFreak for the award in this week’s rally. Thanks! Image: Photobucket through Google Images search. wow. that’s a true friend, one that I know you to be. whoever this poem is meant for, they would be lucky to have such a friend in you. beautiful poem, and the haiku to accept your perfect poet badge was good too. have fun.. Happy New Year..! Leo, this is sweet and true. Lovely! Happy Rally and Potluck and congrats on the award. The photo – by the way – is as dear as the poem. Very nice. thanks Jamie 🙂 warmest regards to you as well 🙂 glad u liked it, found it sweet and true..
Leo, wonderful picture to paint the wonderful words.. Nice one.. I loved it.. Happy Rally, this week I am back..
thank u, SiS.. glad u liked it, and good to see u back at the Rally too. you are a diamond host too, Ji 🙂 glad u liked it. A heart wrenching poem Leo, from a dear friend to a dear friend. thanks Nanka 🙂 glad u liked it. it is to a dear friend as well. thank u, Martin 🙂 glad u liked it. Beautiful. I love the idea of becoming the holder of the smile for a friend who has lost it for a little while. yeah.. a good friend can be that holder for sure, Monk 🙂 glad u liked it. Sometimes the reminder of true friendship is needed when one friend has been lost and has forgotten. Beautiful, Leo. awh!!! this is lovely! beautiful prose! and that picture is adorable and well suited for the wonderful penning here! Nice! thanks very much, Kellie 🙂 glad u liked the penmanship.. Happy Rally..
thats a beautiful write… with friends, no hesitation… they can actually see through you. thanks very much, Louise… 🙂 glad u liked it. Beautifully written! What a wonderful sentiment. thank u very much, Marlee 🙂 glad u liked it. ok. thanks for stopping by Pea. Great 🙂 Happy new year! This one makes me sad and happy at the same time, magically written! This phrase touches me deeply: “Friend, have You forgotten You’ve smiled With me too” You’ve beautifully articulated the loss of connection we often experience in relationships left untended. that memory loss is there in friendships that are tended to as well, Kim 🙂 glad u liked the poem. Friends are there for each other-to hold smiles, to share hearts, to encourage, to share the truth, etc. You’ve captured friendship, sad and good. Great job! yeah.. that is what friends do, absolutely right, Dan 🙂 glad u liked it. touched me deeply. something i can relate to. nice work. happy new year and happy rallying. yeah.. but finding that one good friend is sometime very difficult, Tweety.. time could definitely use a friend’s hand there 🙂 Happy New Year, friend..
A smooth write – friendship somethimes is more of a challange, which results are worth the while. Happy New year to you and look forward to reading you in the ’11! Unbelievably sweet. It is lovely. What a wonderful ode to a friend. thank you, L 🙂 glad u liked it.. I love reading your posts ,they seem to be filled with such magick,that can feel it within ,The images are viewed with much beauty ,Keep posting ,many Lover stopping by . True Love is not simple Words ,like No one will ever love you like I did ,then they walk away ,towards another . True Love is not Written in a Poem to be left unspoken ,never faced with Reality . No ,they are still searching within themselves . Leaving My Heart with Words here today . Now it shall forever be me speaking the Truth to ,your Soul . You shall never be Loved ,Like I will always Trust and Believed . Yes used word Loved . As now I finial Know That I am Set Free of this Bind that connected each other together . Holds some amazing Sound as it beats within you ,that is really for first time . May the Life ,Open up something new ,that will bring much Beauty to your World . There becomes a Beauty and Magick ,breathing amazing Love in just being Who you are . thank u for a wonderful comment, and wish you a happy 2011 too, Betcha..
“your smile, it remains with me eternally”… Just beautiful! Really enjoyed your haiku – I struggle and strive to create one truly beautiful haiku. Using few words, meaningfully. You did it quite well. Beautiful composition. I definitely know what it’s like to have someone who knows they can come to you for ANYTHING and they simply don’t. I’ve actually been on both sides of that coin. Truly beautiful. The short lines make it flow elegently through a stumbling mind. thanks, Orange 🙂 glad u liked it. wish u a great 2011 too. what a poem! 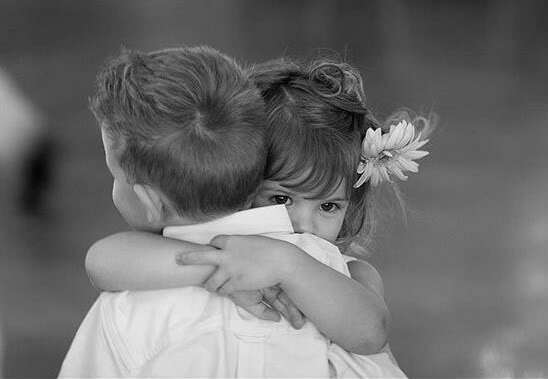 full of tenderness and true affection. I love the repeating of smile. thank you, fillingahole 🙂 glad u liked the repetition and the poem..
thank u very much, Robin 🙂 glad u liked the flow and that line.. Very beautiful. Friendship should be treasured. yes, it should be, Boogaloo 🙂 glad u liked it. Loved the language & imagery of the poem. Curious – Is capitalizing the first word of every line a style choice or done for a diff. reason? There is TONS to read here! Gonna have to read through some of your archives and play catch-up. Great submission, I always do enjoy strong-voiced poets. hi Carib 🙂 capitalization of the first word in each line is done coz it is part of the English language 🙂 a rule of capitalization.. thanks for stopping by and subscribing to the blog too.. glad u enjoyed the poetry..
What a sweet, dear friend being so encouraging to the other–very nice. And a sweet photo to go with it. amazing piece…friends are definitely meant to be eternal! amazing way to depict friendship with words!!! thanks for sharing Leo! thank you Ms. Peaches 🙂 glad u liked it. indeed friends are meant to be eternal..
Lovely, a wonderful tribute to friendship. Your words ring so true! thanks Words4aFriend 🙂 glad u liked it. Reminded me of an event in my own life…this poem took me to a moment of deep reflection. Thank you for sharing. thank u very much, David. glad u liked it and made you reflect..
what serious note? 😮 I had no idea Aarti can be serious 😛 glad u liked my poem, friend. will try for an encore soon, Fiveloaf 🙂 glad u liked it.